"I believe, Politics is a Medium to achieve Public Good with an ideology of Inclusion, of Equity and Equal Opportunity to all. I believe, Development can only come through use of Technology, with innovation to suit the Local Conditions and Implemented by the Stake Holders through Community Participation. I Believe in the Ideology of love compassion and non violence of Mahatma Gandhi and the Ideology of Secularism and Socialism of Pt. Jawahar Lal Nehru. A new progressive Bhopal will need all our efforts and contribution. For my new initiative 'Bhopal Ki Baat, Digvijay Ke Saath', I invite you all to send your questions and queries, and shall try answering them for you! Connect with us on 9911186200 and leave your queries. Our new initiative #YuvaVijaySankalpitDigvijay aims to provide a platform the young ones of Bhopal to contribute towards responsible governance, through their inputs and suggestions. We invite you all to send us your suggestions and feedback by connecting with us on 9911186200. राम मंदिर मुद्दे पर कांग्रेस का जो स्टैंड था, उस पर आज भी कायम है. हालांकि बीजेपी का स्टैंड जरूर बदला है. 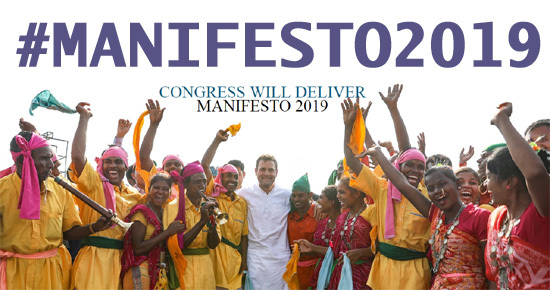 इन्हें राम से कोई लेना देना नहीं है, इनके भगवान राम की याद तभी आती है, जब चुनाव आते हैं. 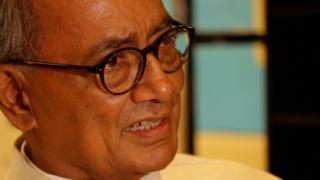 In an exclusive interview with BBC India Digvijaya Singh said that Defence Minister has clearly misled the Nation by giving a wrong statement that India and France has a secret pact of secrecy as exposed by Rahul Gandhi. She must resign.